i am trying to be better organized this year. 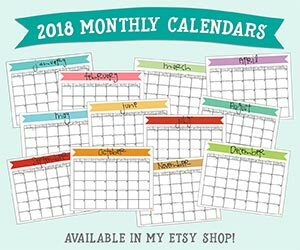 i have a few busy months coming up and i’m trying to plan out as much as i can – i’m making lists, schedules, stocking my pantry, etc all kinds of things in an effort to have all my ducks lined up in a row before the busy time hits. 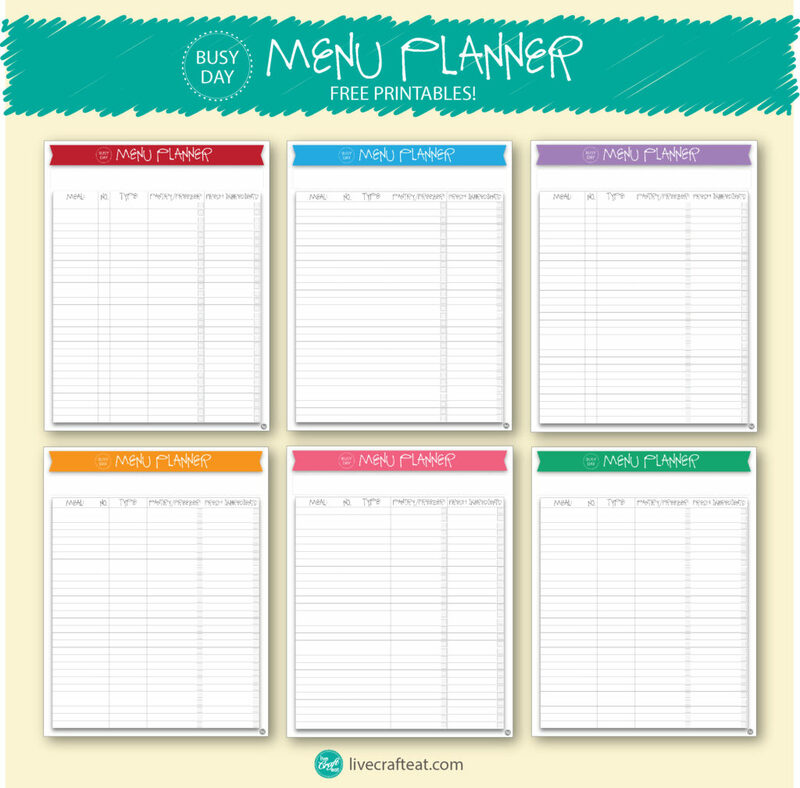 while i still use my menu planner (< click to read how and why i menu plan & download free menu planning stickers. 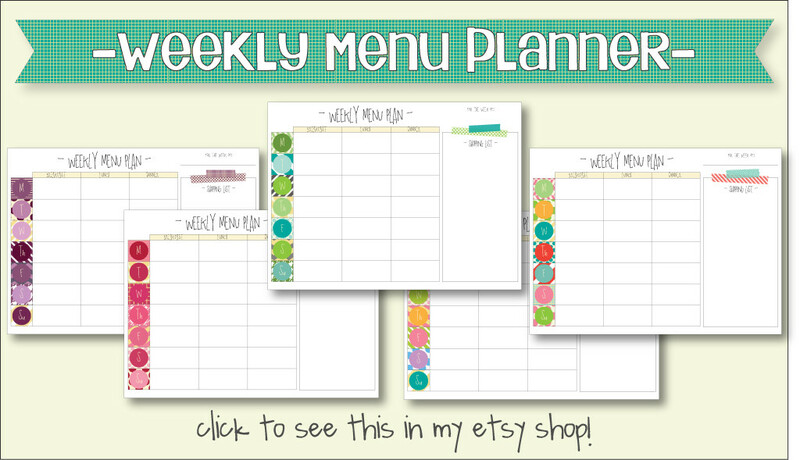 i also now have free printable weekly meal planners in 11 layouts and 6 different colors for each layout!) daily to plan out which meals we are having on which days, i found myself wanting to plan even further ahead to make sure i have food in my house that can be made into meals on those inevitable ultra busy days – even the ones i don’t anticipate happening…you know, where the best laid plans kinda fall apart. in the blank space at the top, under the header, i put in a list of things i want to have on hand for kids lunches and snacks. they mainly consist of food items i can store in the freezer, fridge or pantry and that will last a long time. for example, i buy go-gurt at costco and put them in my freezer to throw in my kid’s lunches – by the time lunchtime rolls around they’ve defrosted. or other things like applesauce and string cheese, etc that will all last a while after i’ve bought them so they’re ready to be used. YOU can use this space to write in anything you want. maybe you want to write down some quick breakfast ideas, or snacks for yourself. it’s just a place for jotting in those little things that will help make your meals and snacks more organized and help you be prepared. MEAL: the meal column is for writing in the name of the meal you want to have on hand for busy days. try to pick meals that you can prep ahead of time or that require very little “fresh” ingredients that you have to prepare or run to the store to buy. and don’t forget to consider freezer meals, or crock pot meals – these are easy to prepare in advance and will be ready when you need them. NO. : this is where you write in how many of that particular meal you’d ideally like to have stocked. it could be 1 or it could be 10. then when you’re looking at how much of each ingredient you need to have, you know how many you need to multiply it by. TYPE: being able to see at a glance what type of meal it is you have makes it easier to pick and choose which one will work best for you that day. for example, if you’ve suddenly realized you’re running out of time and won’t be able to prepare the awesome meal you had planned for that day, a “crock pot” or “slow cooker” meal probably won’t be of much use to you with so little time. but maybe a freezer meal, or even an easy-to-throw-together meal would be better to use. YOU can label your meals however you want – you could use “easy”, “crock pot”, “freezer” etc. as i have, or you could label them by “breakfast”, “lunch”, and “dinner”. it’s totally up to you what would work best for your circumstances. PANTRY/FREEZER: this is where you get to the nitty-gritty of making sure you have everything you need for these busy day meals. the pantry/freezer column is where you list all the ingredients you can buy or prepare ahead of time and store in your pantry or freezer. my family likes chicken fajitas, so i make sure that in my freezer i have boneless, skinless chicken breasts that i’ve already cut into thin strips, as well as red and green bell peppers that i’ve already sliced. if you don’t currently have enough of a specific item for the number of meals you want to have on hand, instead of checking off that item write in the number that you DO have in the box so it’s easy to keep track of. FRESH INGREDIENTS: if there are any fresh ingredients (i consider these to be things that i have to store in the fridge or things that go bad in just a few days), write them in this column. you may have some meals that don’t require any fresh ingredients because you’ve got everything you need in your pantry or freezer – great! but for those ones that just require rolls (like chicken bbq sandwiches), or whatever, this column makes it super easy to see at a glance which things you may need to buy on your way home. but because you’ve prepped for and have everything else you need for the meal in advance, this will take only moments to do and dinner is practically already made! i am feeling so organized with this, i cannot even tell you how excited i am to not have to stress about dinner on those crazy busy days i know are inevitable and coming (and they come for everyone!!). 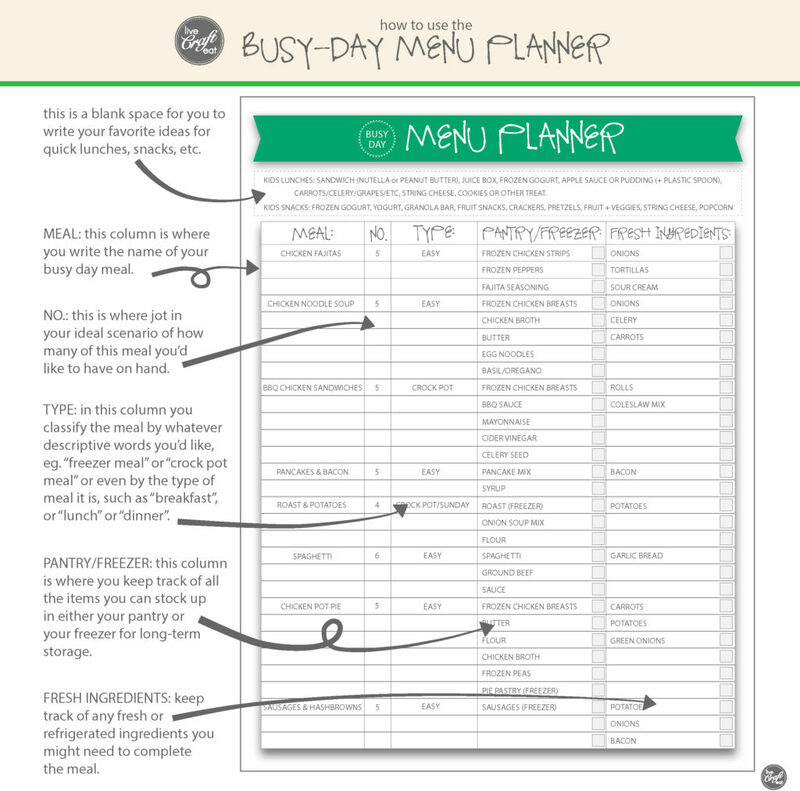 RED busy-day menu planner, BLUE busy-day menu planner, PURPLE busy-day menu planner, ORANGE busy-day menu planner, PINK busy-day menu planner, GREEN busy day menu-planner. slow cooker chicken bbq sandwiches recipe, chicken pot pie recipe, slow cooker roast recipe, slow cooker chicken and stuffing, my favorite soup recipes, chicken enchiladas (freezer meal! ), or see my recipe archives for other ideas and recipes! « shop update :: an organized 2015!